If you feel shackled by the limitation set by Apple on your iPhone or your iPad, maybe its time for you to break free and discover the huge world of apps and softwares beyond the Apple stores. If you are not sure how to jailbreak your device, have a look at this article. Once your device is jailbroken, there is absolutely no limit to the possibility of what you can do with it. Here are some of the coolest Cydia Apps for jailbroken iPhones and iPads. Zephyr adds multitasking features to your Apple device by letting you switch between apps simply by swiping your finger across the display. 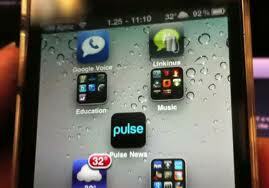 Apps can be closed and the multitasking switcher can be moved up by swiping upwards from the bottom of the screen. If you want to change the settings on your iOS, you need to go from menu to menu to find the buried down option, and this can take upto several minutes. SBSettings lets you change your device’s settings, control bluetooth and wi-fi, and shift to airplane mode within a few seconds. SBSettings also offers a variety of themes you can choose from. If paying extra for sharing data because of the tethering policies of your carrier frustrates you, you probably need an app like Tetherme, that will let you bypass the tethering of your service provider and create a personal wifi hotspot, all the while avoiding detection by your carriers. Rumour has it that the iPad 3 which will be launched in the second week of March 2012 will come with Siri Dictation. But till that actually happens, the AssistantLove app will fulfil your voice assistance needs. This app lets you use Siri with Spotify and let you open GPS navigation apps while you are driving. Tired of the same old iOS themes? Want to give your phone an HTC like look? Try Dreamboard, the most advanced theming platform, to select from a wide variety of themes that can completely change the way your device looks. Isn’t it annoying how Apple lets you add only 12 apps in a folder? With Infinifolders, you’ll be able to sidestep that limitation and put as many apps as you like in a single folder, thus letting you organize your device the way you want to. If you are writing a mail on your iPhone and want to send an attachment with it, Anyattach is really the best way you can do that. While composing a mail, you’ll notice a small paperclip icon on your address board. Just tap it to attach whatever type of file you want to send. So you’ve downloaded tons of third party apps on your device, but every time you need to open one, you have to dig into layers of folders, and possibly open folder after folder just looking for them. The AppLinks solves your problem by creating shortcuts for all your third party apps and putting them in one place, so that you can locate them with a single tap. If you ever try to run iPhone apps on your iPad, you will notice how your screen becomes a blurry, ugly mess, due to the doubling of pixels. Avoid torturing your eyes whenever you use such apps, by installing the RetinaPad, which will run iPhone apps in the 960×640 resolution, so that they look as sharp as iPad apps. Manage your iPhone files efficiently through this great app, that lets you cut and copy files, create and delete folders, and basically lets you do whatever you want with your file system. You can even upload files to your computer directly with this app. Once your device is jailbroken and you have downloaded all the Cydia apps you need, the real problem will come when you need to upgrade to a new version of iOS. After updating, you’ll find all your beloved third party apps gone, and you will need to jailbreak and download them all over again. XBackup lets you avoid this by creating a backup of your downloaded apps, and letting you restore them as soon as you jailbreak after updating. This app puts a scrolling dock on the right side of your screen, allowing you to open those apps which are already running, as well as apps you have customized onto the dock. You can even put frequently used folders on your dock. Instead of the inconvenient task switcher that Apple provides, you can see all the apps you are running simultaneously with attractive little thumbnails. This makes shifting from app to app much easier, while giving your device a sophisticated look. The 3D Board app gives your device a screen that will grab eyeballs wherever you go. With a brilliant 3D effect, and wallpaper motion following the movement of the phone, this will make your screen much more interesting and engaging. The Activator apps gives you shortcut gestures with which you can open, close, or pause any program on your device. Gestures like double tapping the Home button, tapping and holding a button, or pinching some icons can let you quickly access your favorite apps and programs. You can even customise your own gestures according to your needs and preference. This drool-worthy app makes your jailbreak totally worthwhile. It lets you set your camera as your wallpaper, so that your screen constantly reflects the background, giving your phone an awesome camouflaged look. What’s more, if you want to take a picture, you can take it directly from your wallpaper, without having to reopen your camera. It’s very tiresome to drag each icon one by one to the page where you want to take them, so the Multicon Mover lets you move as many icons as you want at once. Hold down the springboard icons to make them wiggle, and then tap the ones you want to move. This will in effect tickmark them and then you can move them all at once. If your device is passed around often and you feel the need to keep some of your apps locked, then Lockdown Pro is the app for you. You can lock apps, lock folders, and have separate passwords for each app if that suits you. Also, if you forget your password, the recalling facility is also excellent. With the FreeSync software, you no longer need to sit around and wait while your device is syncing with iTunes. You can play games, take a call, or send a mail, while the syncing continues in the background. Just be sure to follow all the instructions correctly, or you might end up corrupting your music. If you have no more need of a certain Cydia app, or you want to remove some apps to make space for new ones, you no longer have to go to the Cydia Store site to get it uninstalled. This free little app lets you delete your Cydia apps directly from your phone, much the same way as Apple apps are deleted. Just hold the icons till they start wiggling, and then tap on the tiny x that appears next to them. All of the above apps, and many more, are available at the Cydia Store. So if you are as excited about them as I am, be sure to give the site a visit. Happy browsing!